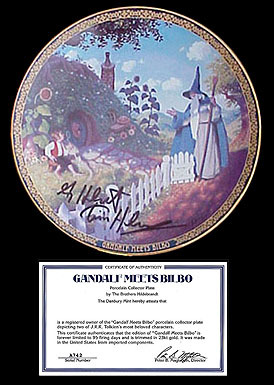 ?\Mint decided to try Tolkien plates and after their testing decided not to go ahead with the edition. So these are all that will ever be available. They are signed by Greg and Tim Hildebrandt!! When there are only 6 then it is really a collectible!